Congratulations to Janet Archibeque, 2017 Lynn Lindstrom Memorial Award, Volunteer of the Year! 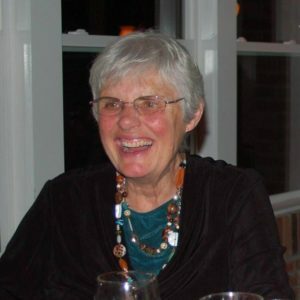 There are many great volunteers in our organization – and it may seem unfair to talk about just one – but it’s doubtful anyone would find fault for taking the time to recognize this member of our family: Janet Archibeque. As our food coordinator for the last two years, the meal planning, shopping, cooking, serving, and clean up involved in feeding 200 people on camp weekends – four times a day – is more than what a typical person might be willing to take on and endure. But Janet has the ability to run with it and make it seem effortless. If it’s not effortless – she hides it well. Janet has selflessly given her time and energy to make sure the kids have meals that are not only healthy but also above the ordinary. And if that weren’t enough, Janet also gives our tour cook support during parts of all-days and segments of tour. And helps us with planning of our special events and even likes to be there to help with uniform fittings, alterations, and washings. Janet understands the value of those that work with her to get the job done and she creates a positive working environment for the volunteers supporting her effort. Her ability to create that welcoming environment – with caring and service at the forefront – is a trait that anyone can rally to and feel valued in the process. Janet is so very conscientious; with a heart of gold and an infectious smile. Janet’s compassion and sincere empathy extend without bounds to every kid, every staff member, every volunteer, and out to everyone she meets. 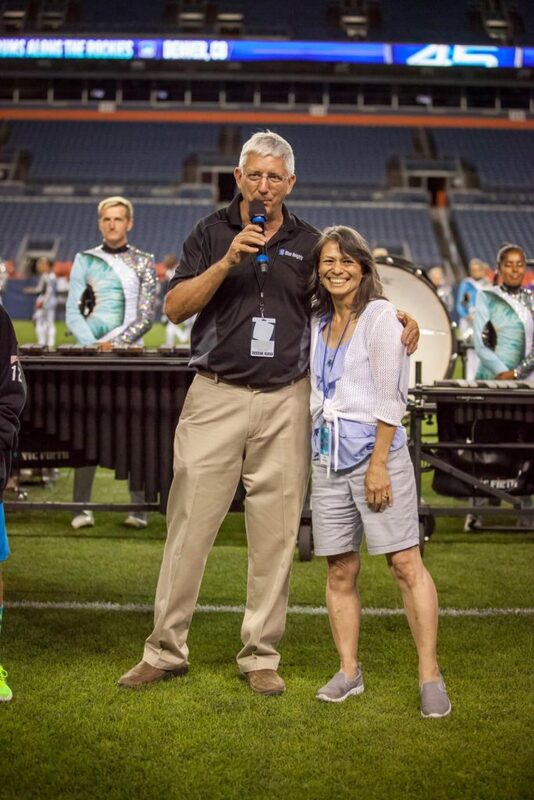 Her son Jake plays baritone and is in his third year with the Blue Knights. Her family of Orlando, Molly, Bill, and Teiko also deserve mention as they have fully supported her as she’s gone about her business of serving others and also by volunteering at her side. Thank you Archibeque and McDougald families for sharing Janet with us! Janet is a selfless volunteer and a Blue Knight at heart. She exemplifies what we value. We are thankful and honored to have her as a member of our Ascend Performing Arts family. Thank you Janet! You are truly valued and loved by us all!